Conventional lead acid batteries have been around for decades and they have proven their reliability. 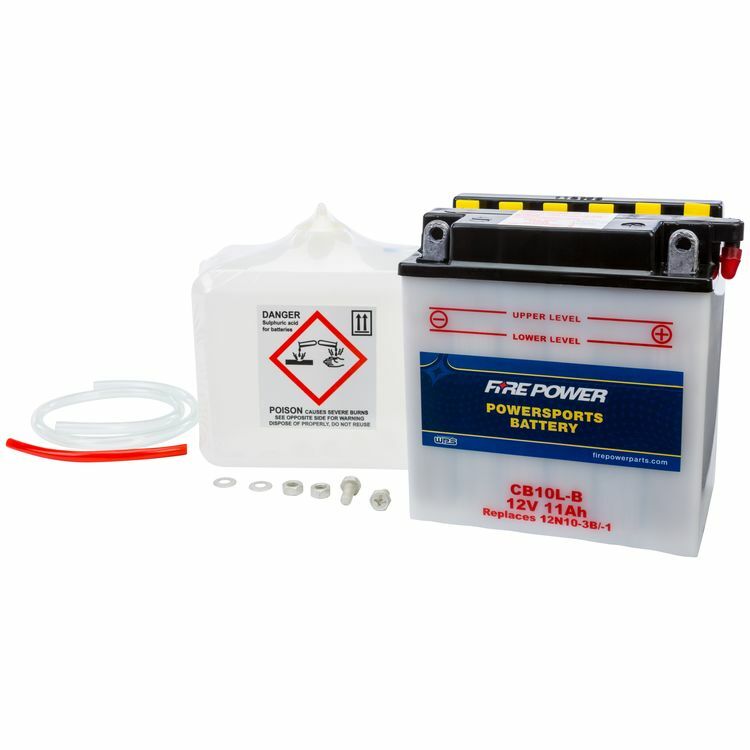 Each Fire Power Conventional Battery includes everything you need to to get started, including a pre-measured acid pack(s), a overflow tube and hardware. All you need to do is charge it.